Each section would have housed the olive harvest for one family. 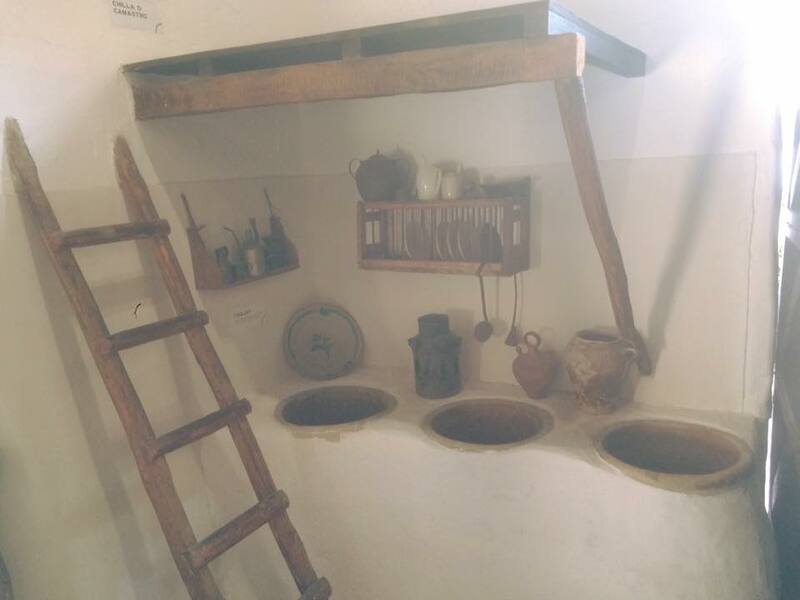 The olives were held here until it was their turn in the olive press. 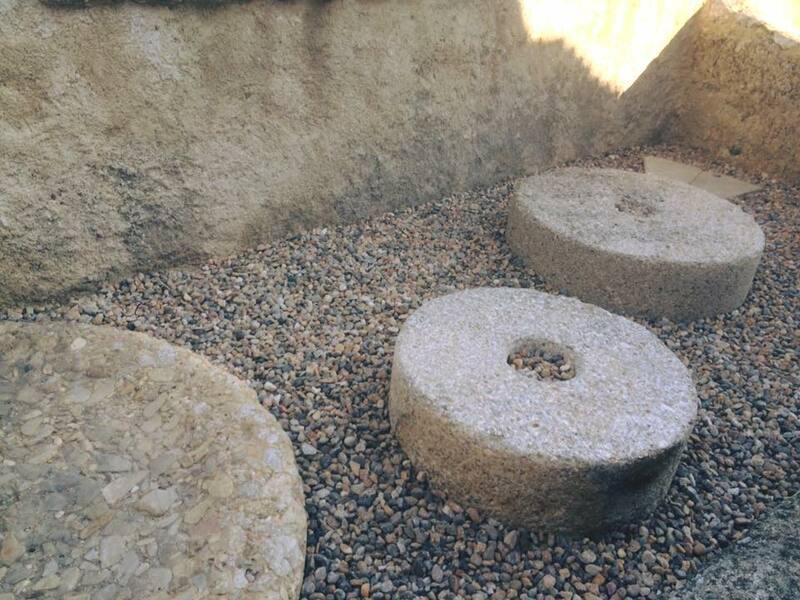 It was operated on a first come first served basis with those arriving later having their olives sat outside for longer periods before being pressed. The longer the olives were kept outside in the cold, the worse quality oil they would produce. 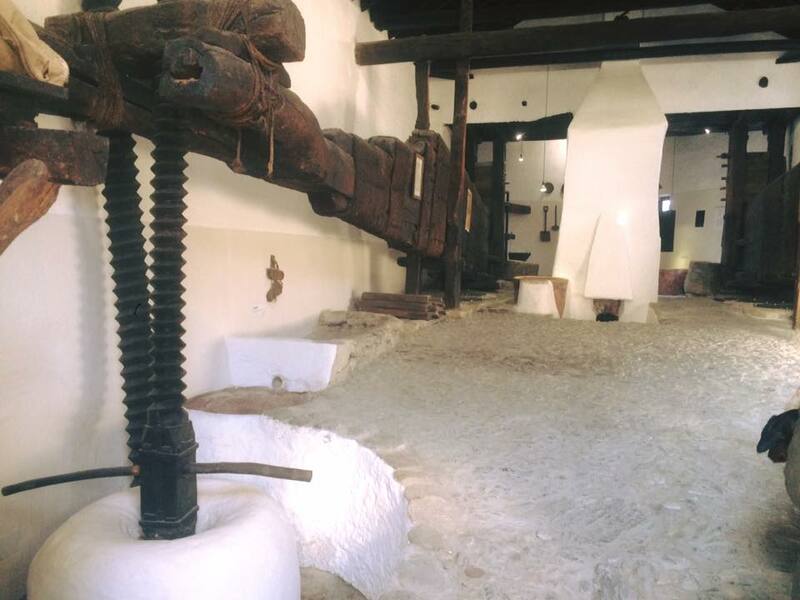 The mill was first operated in Roman times using Mules and manpower. This mill is known as a “blood mill”, not because there was any blood spilt but because it was the power of blood (as opposed to water which came later) which powered the mill. 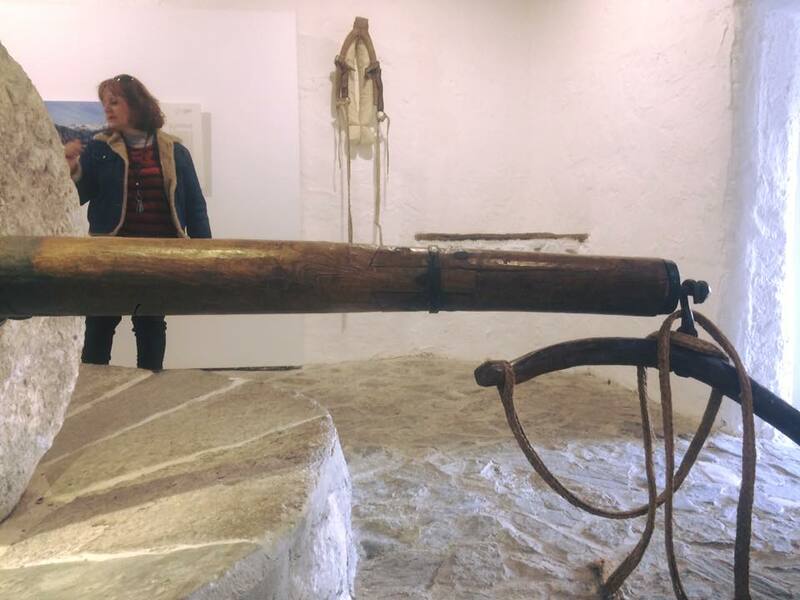 The Mule harness attached to the mill stone. 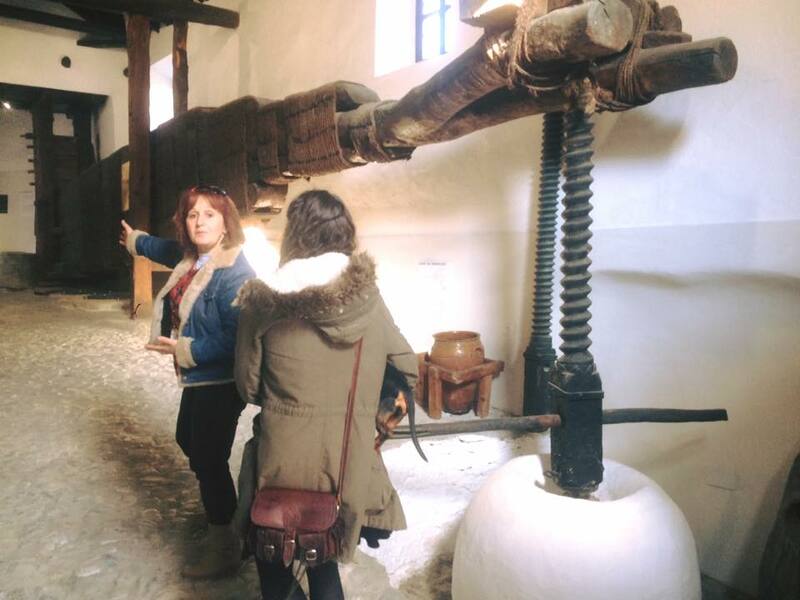 The mill was always turned anti-clockwise following the earths rotation. 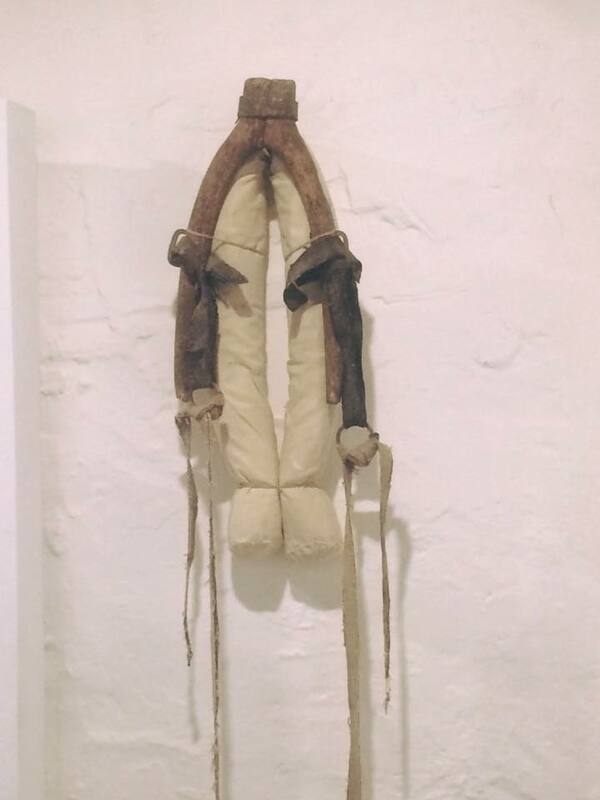 It is said that this, along with blinkers on the Mule, ensured the animal did not get dizzy while walking in circles for long periods. Here the olives are crushed into a rough paste before being pressed for their oil. Tools for scooping and scraping the olive paste from the mill before it is taken to the adjacent room for pressing. 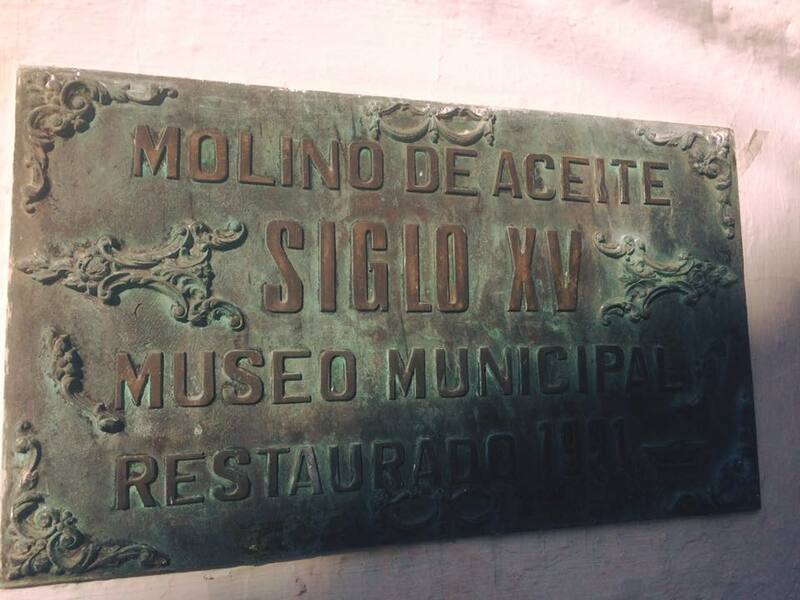 The Moors developed the mill after the Romans to incorporate water power. 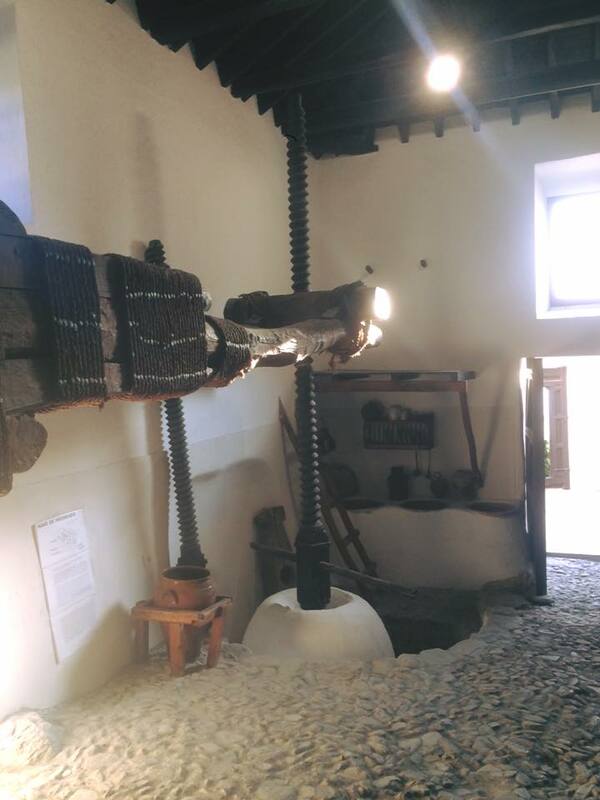 They developed a new water powered mill in a room alongside the old “blood mill” (Mule powered) but maintained the old mill as a back up. Here we see where the mountain waters which have been channelled into the village by the Moors are finally concentrated into a point in order to power the water mill. 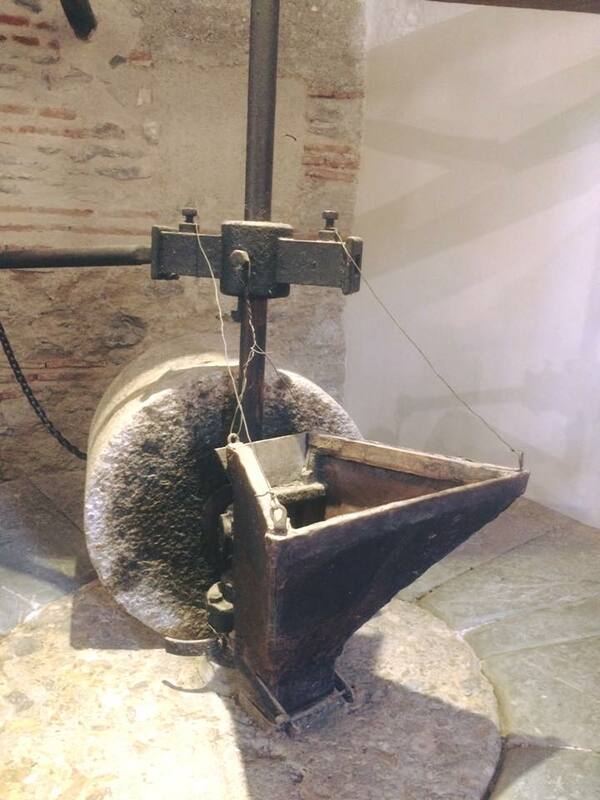 The dimensions were carefully calculated to ensure the water flow was sufficient to turn the mill stone at a constant speed. 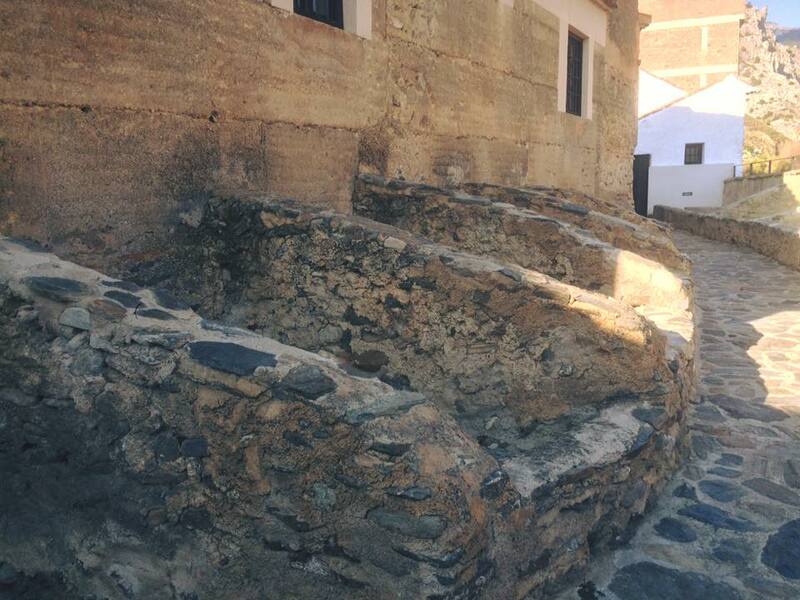 The new water mill built by the Moors. 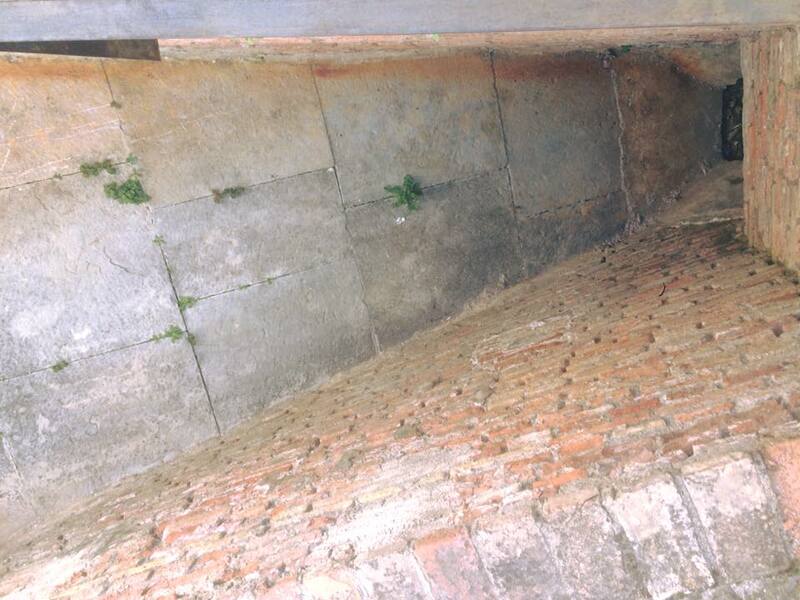 Below this grindstone is a huge water wheel lying flat. 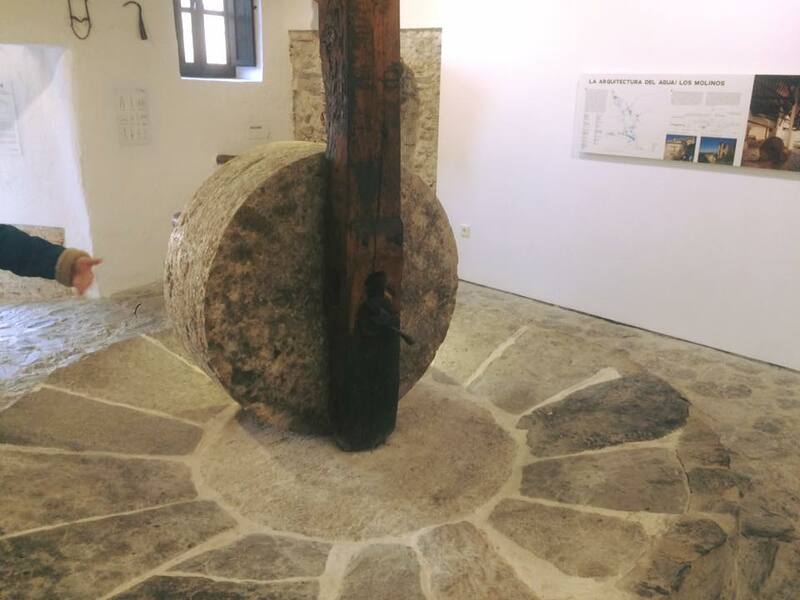 The pole in the middle was attached to the water wheel below. 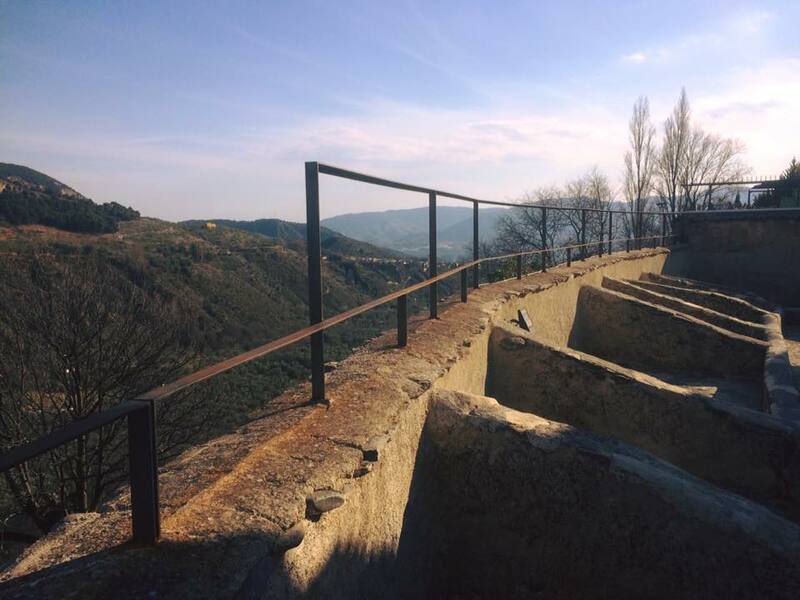 The Moors also added the triangular box to give a more automated and uniform means of adding the olives to the mill. 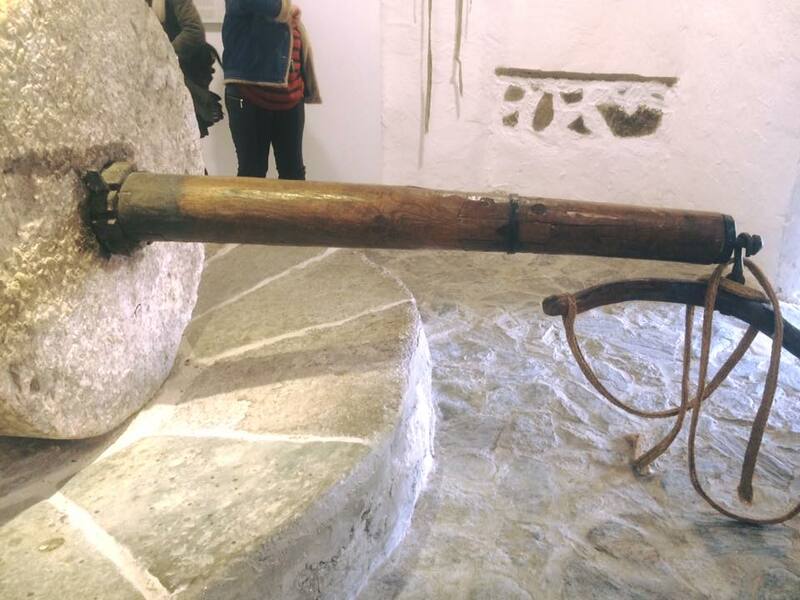 The olive press. Two men would have been responsible for turning the huge screw mechanism to lift the far end of the beams that formed the press. 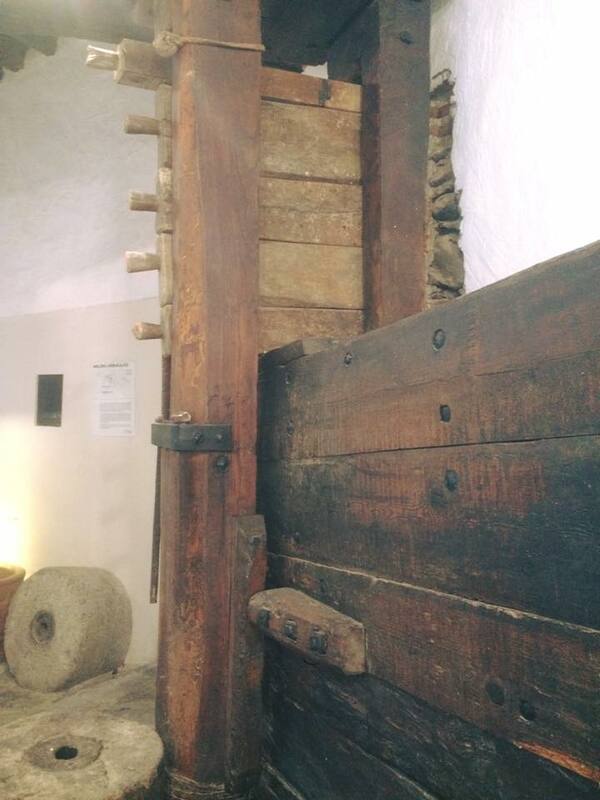 The weight of the beams itself would have been used to slowly press the olives. 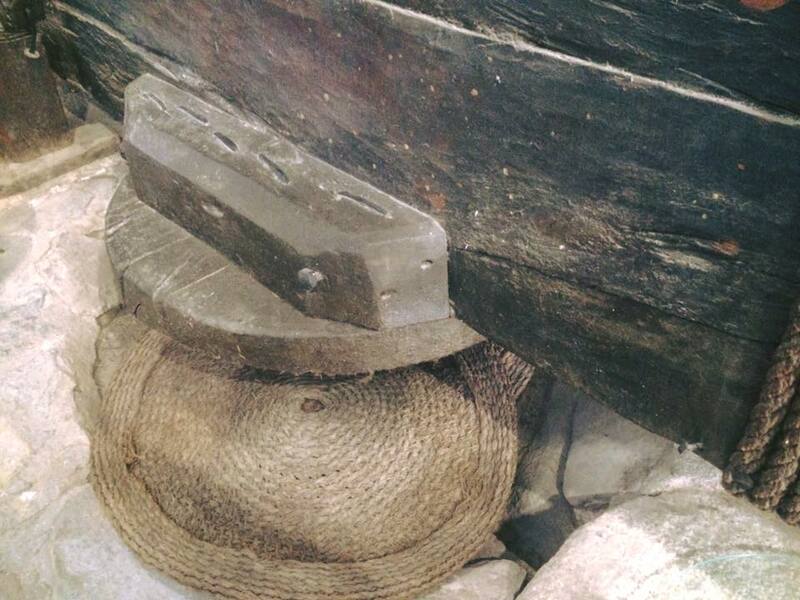 Layers of olive paste was placed between straw mats beneath the circular wooden press plate. 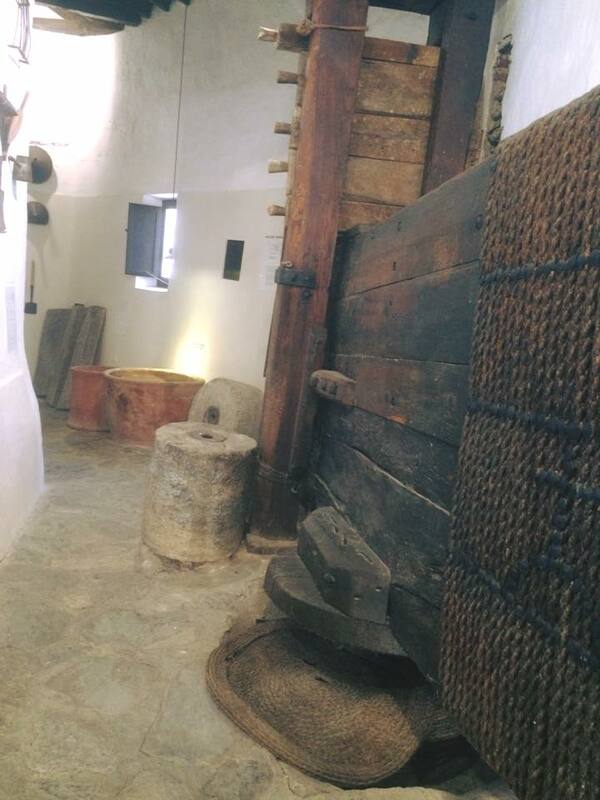 The circular wooden press and straw mats between which the olive paste was pressed. The press to the right of the room was the cold press where the olive paste was pressed first. 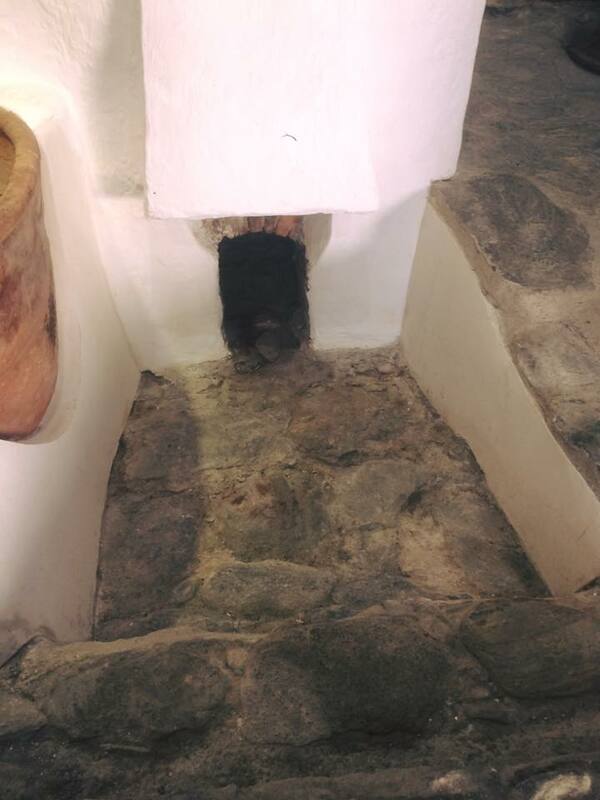 This produced olive oil for eating and cooking. The press to the left was the hot press and in the picture we see where the fire would have been stoked to heat water for the hot press. 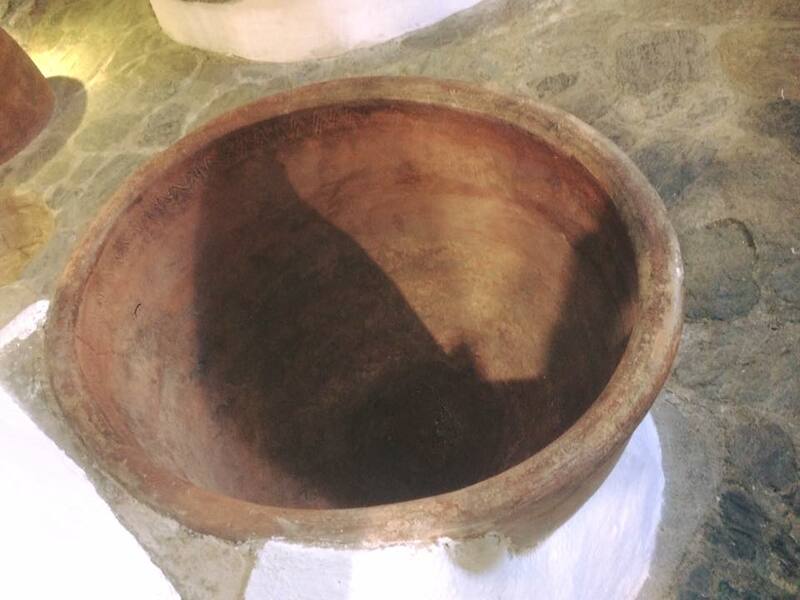 Olive oil from the second press, extracted using the aid of hot water, was very low quality and was used for oil lamps. So each family would have taken away their cooking oil and lamp oil from each harvest. 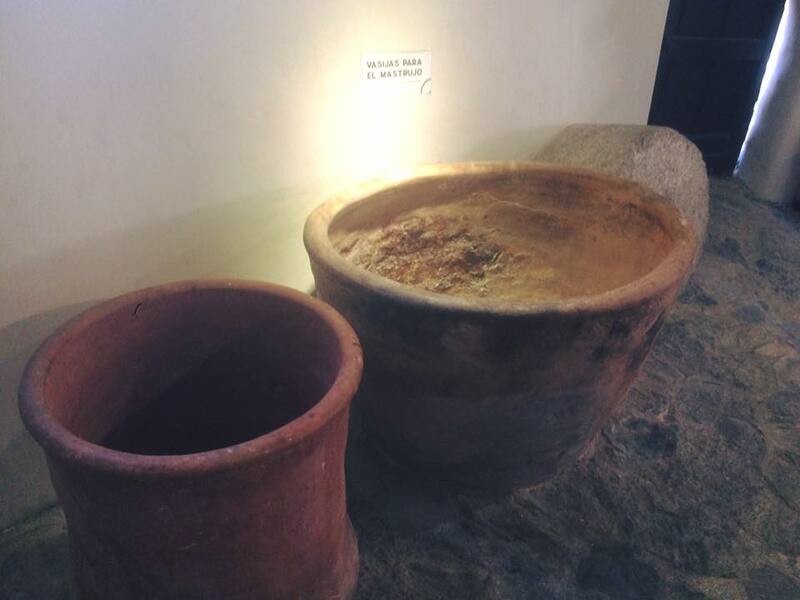 Containers used to move the olive paste. 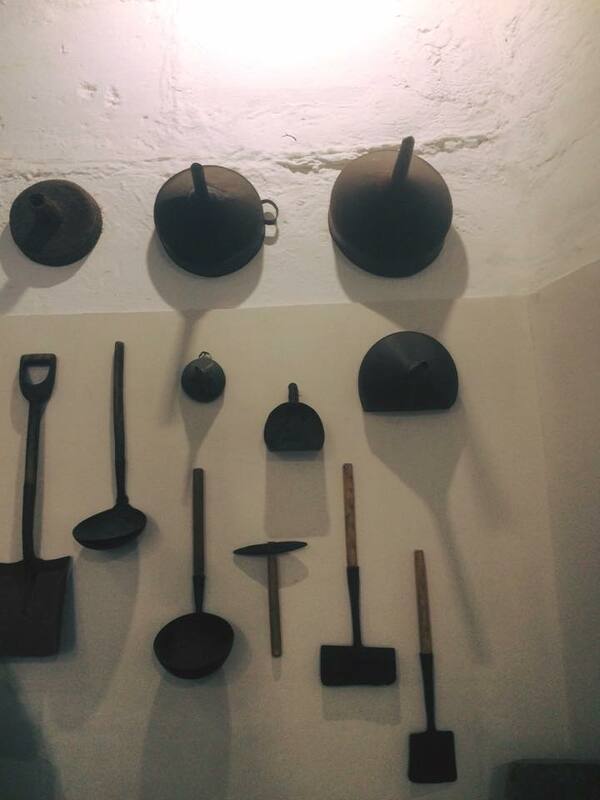 Some items used by the olive press workers. 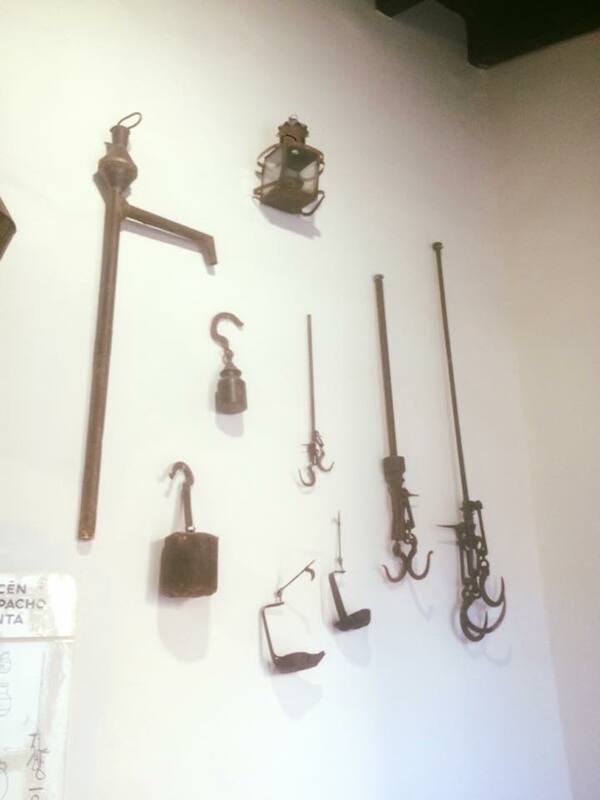 Various weights and measures along with an olive oil lamp at the top and a pump used to extract oil from large containers to the left. Olive oil measuring jugs. 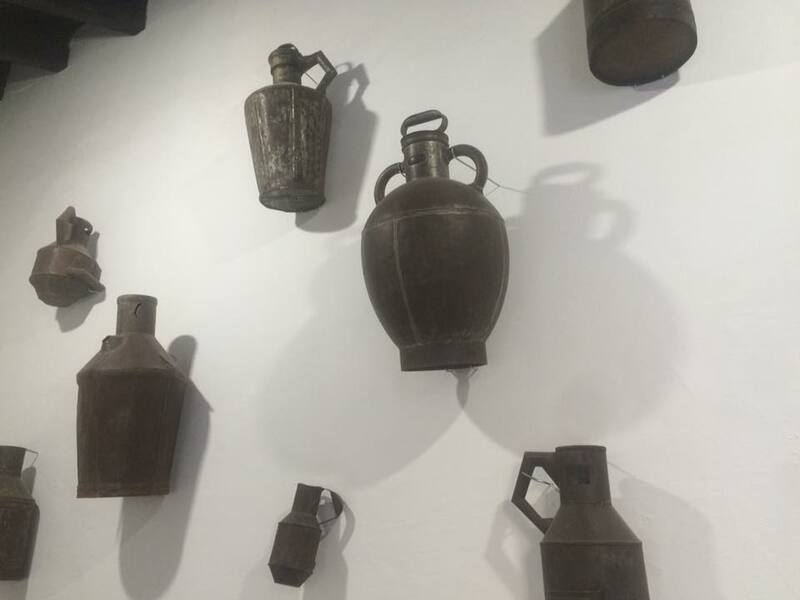 Notches were but in the necks of the bottles to help with more exact measurements as the jugs themselves were hand made and therefore could vary a bit in size. View down the Lecrin Valley from the olive mill.